Successfully saved Sweet Potato Toast to your Calendar. You can also save the ingredients to your Grocery List. Sweet potato toast is rapidly becoming the next big health food to try. This bread-free alternative to toast makes your morning carbs healthier and is perfect for gluten-free eaters, too. Simply swap out your morning slice of toast for a couple of slices of sweet potato topped with your favorite flavor combinations like nut butter, hummus, or avocado. 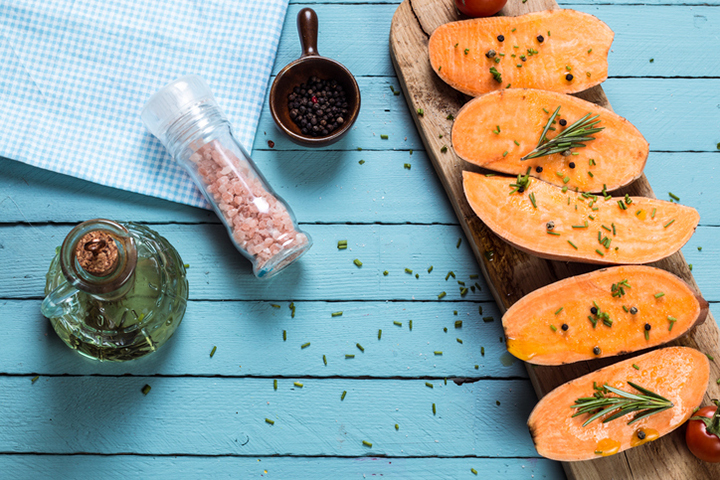 Plus, sweet potatoes are packed with antioxidants and other nutrients that keep your body healthy and slow signs of aging.